The Imaging FlowCytobot (IFCB) takes water samples around the clock and photographs phytoplankton cells floating within. “It’s got a huge amount of potential for figuring out what plankton is in the water column and monitoring for HABs,” says Alexis Fischer, a postdoctoral fellow at the University of California, Santa Cruz with Raphael Kudela. 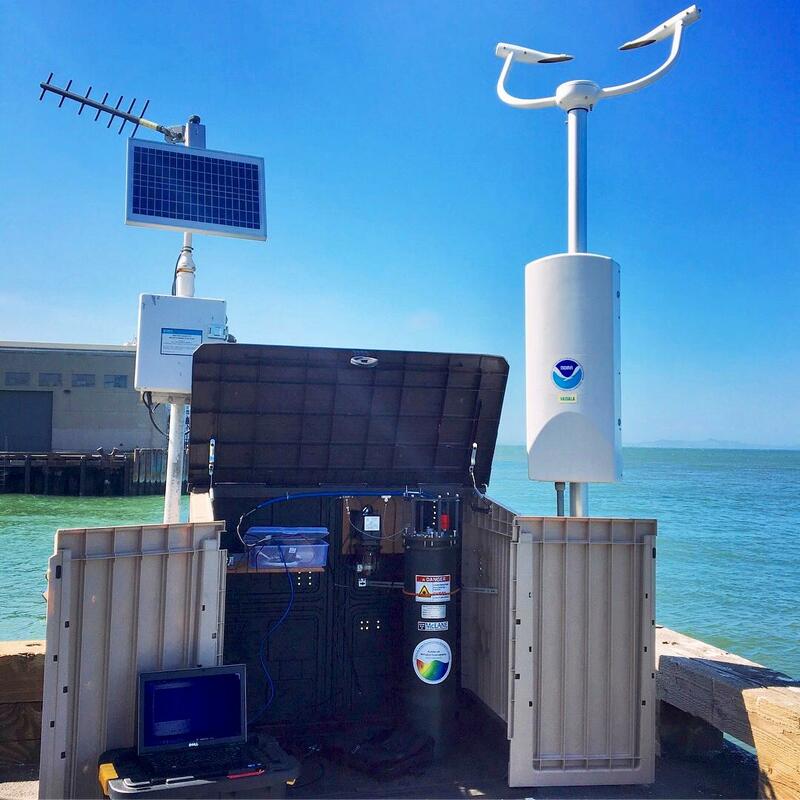 Fischer and colleagues are building a phytoplankton image classifier already capable of identifying more than 90 percent of cells photographed by IFCB at the Santa Cruz Wharf. The bad actors really stand out in the crowd, Fischer says. “Many of the harmful algal bloom species tend to be larger and more uniquely shaped, which fortunately makes it easier for our classifier to distinguish them.” Phytoplankton from San Francisco Bay are more problematic. “There’s a lot of small, rare freshwater phytoplankton that we can’t identify at this point, so we’re going to need to build even larger training sets,” Fischer says. The robots demand intensive oversight to keep running, and cost more than $130,000 a pop. Even so, the IFCBs promise to revolutionize the study of how ocean conditions contribute to phytoplankton blooms. And once Fischer has finished the analysis software, Californians should be able to view the types of algae in offshore waters—plus any brewing blooms—online and in real-time.